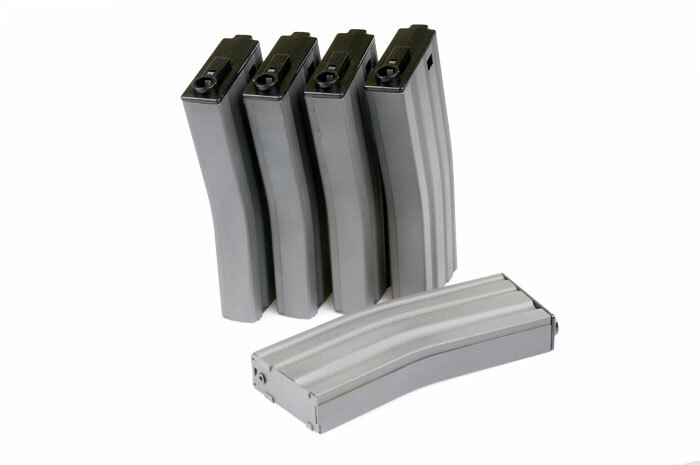 Box set of 5 metal magazines for your AR series M4 / M16 automatic electric gun. Each holds 190 rounds without the need to windup so you can fire away! Finished in realistic metallic grey.